Yesterday’s post, coconut-lime shortbread cookies, introduced us to the Hamilton Beach 7 Speed Orbital Stand Mixer. We featured the “Mom Who Likes to Bake.” But we also wanted to focus on moms who don’t care to bake, or who perhaps enjoy both baking and cooking! 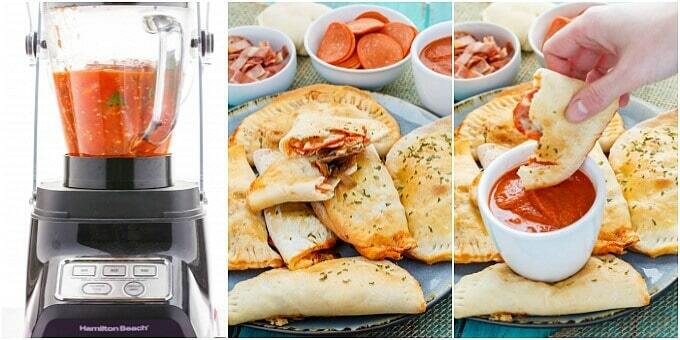 That is where these homemade pizza pockets come into play! Let’s talk about the mixer! I really like how well the dough attachment works. Maybe it is the the 4-quart bowl, or possibly the shape of the dough hook (it has a bit of a flat edge in there,) but my pizza dough came together nice and quick! Comparatively to my other stand mixers, I say this Hamilton Beach model fits right in! Sure, it is lighter, but it is still sturdy. My cookie batter and pizza dough came together perfectly, and at great speed, but not with any sacrifice to the quality of the recipes. I like leaving my mixers out on my counter, however, with how light this model is, it is not troublesome at all to put away and bring out at a later date. These stand mixers come in three colours, and are currently $199 Canadian. Available online, or at stores such as Walmart and Canadian Tire. Perfect for moms who like to cook, or bake, or maybe do both! The only way I make homemade pizza dough is with my stand mixer. 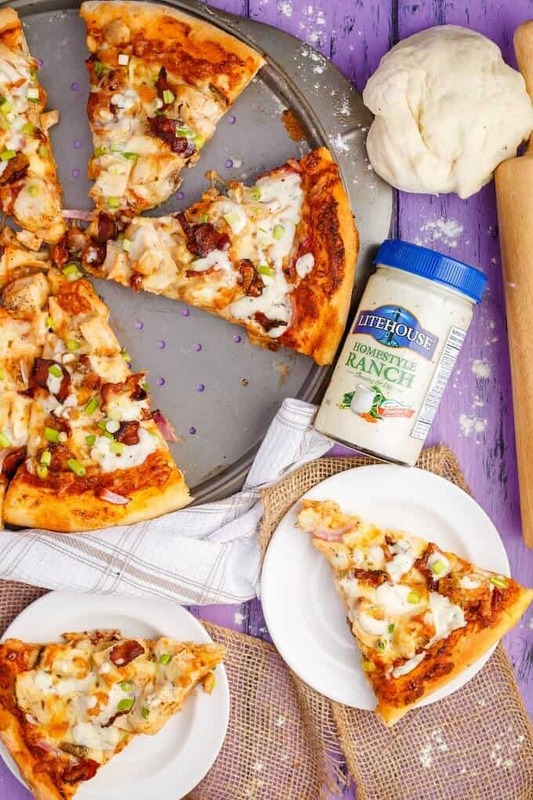 If you are up for it, pizza dough freezes wonderfully so you can pump out multiple batches and have a bunch hanging around for back-to-school! 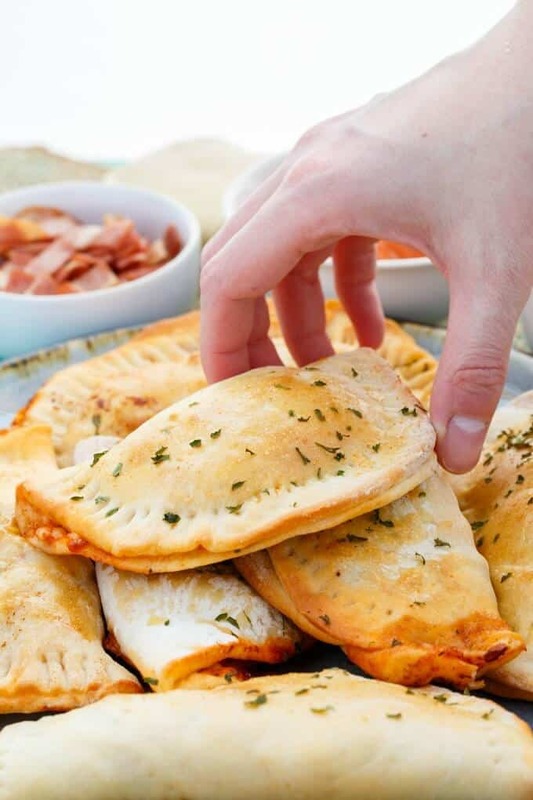 Homemade pizza pockets are fun to make for both kids and adults! 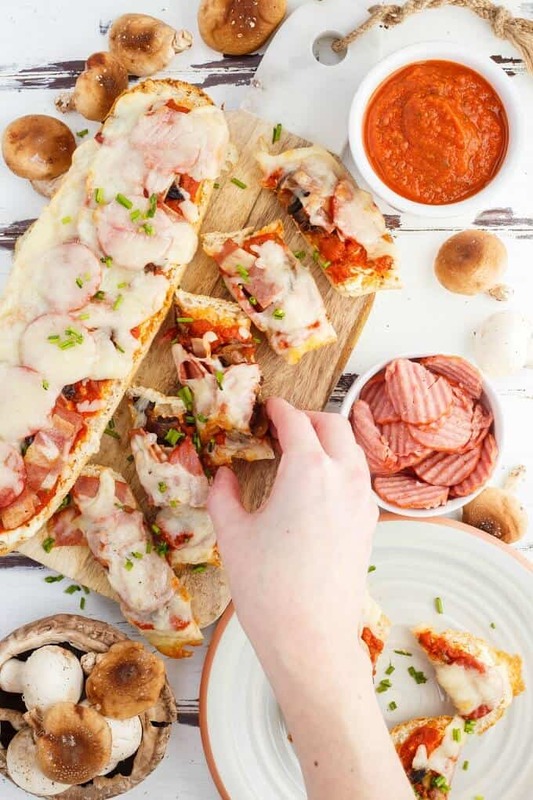 Get creative with your pizza toppings! Add yeast, sugar, and water to the bowl of your stand mixer. Agitate and allow to sit for 10 minutes, waiting for the yeast to bubble and get foamy. Add the salt and olive oil. With the dough hook, add the flour 1/2 cup at a time, on low setting, mixing until just combined. Dough will still be somewhat tacky/sticky. Use a round cookie cutter or the opening of a large cup to cut out round circles. 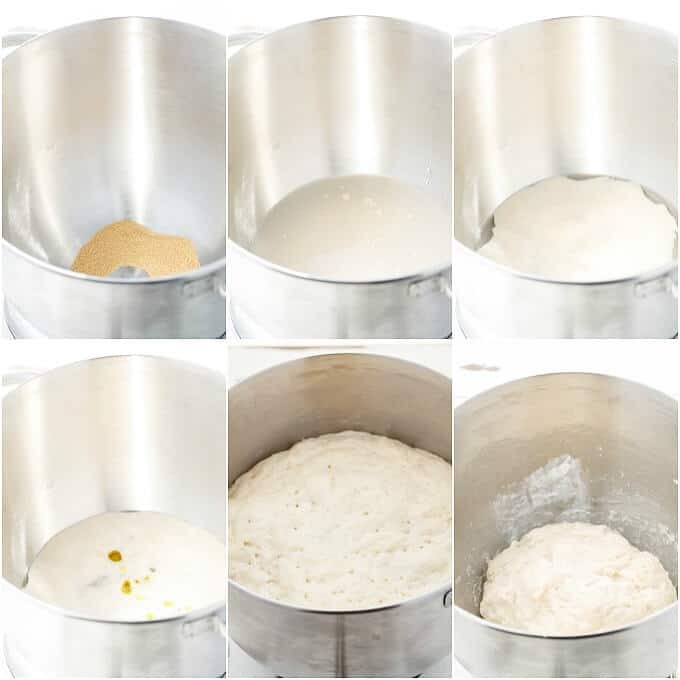 Roll out dough again until no dough remains and you have roughly 2 dozen small rounds. Using your rolling pin, roll out those small rounds until relatively thin and the size you desire. 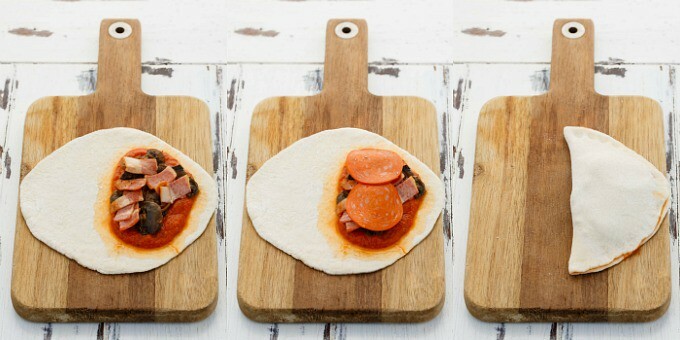 Place toppings into middle of rounds (less is more!) Carefully fold over dough and seal edges with a fork. Brush tops with egg wash and season with garlic powder and dried parsley if desired. Preheat oven to 400F. Place rounds onto baking sheet lined with parchment paper or silicone liner. Bake for 15-20 minutes, or until golden brown. Remove, allow to cool slightly, and serve! 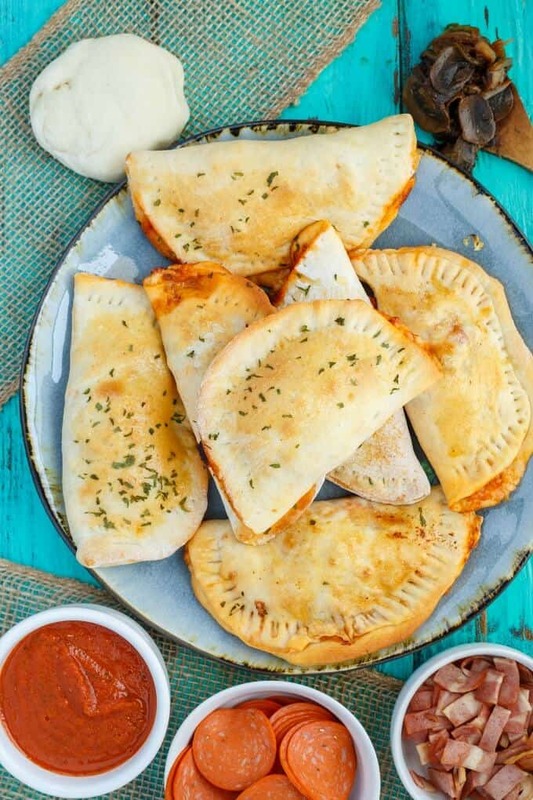 I suggest assembling the pizza pockets on the baking sheet as they will be really hard/delicate to move once they have the toppings inside. Yield will depend on how large (or small!) you make your rounds. 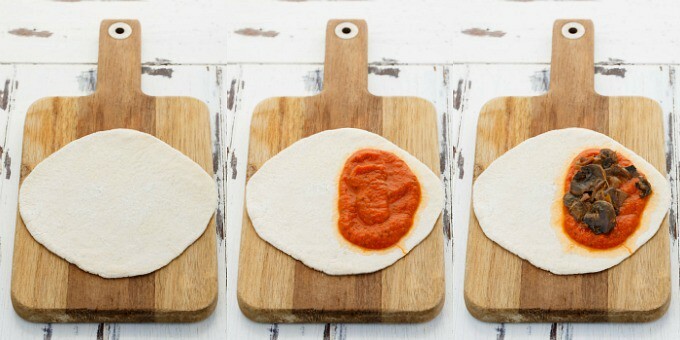 Humidity (or lack there-of) can affect your dough. 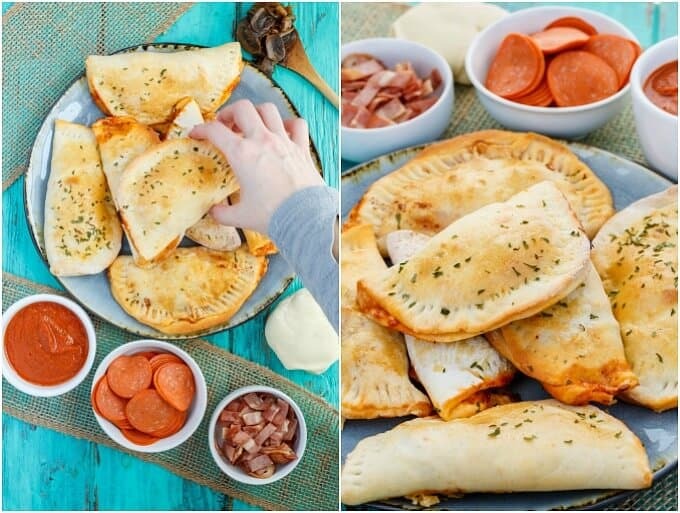 When do you freeze them - before or after baking? What are the reheat instructions?